Reese Witherspoon is at the top of her game as a boss lady with her own production company and lifestyle brand, plus she’s BFFs with Oprah and mom to three kids. And despite this busy lifestyle, she always manages to look effortlessly stylish. By creating so many different outfits of denim, stripes and fun prints, the Big Little Lies star shows how to wear trends in a way that is on-point and hassle-free. 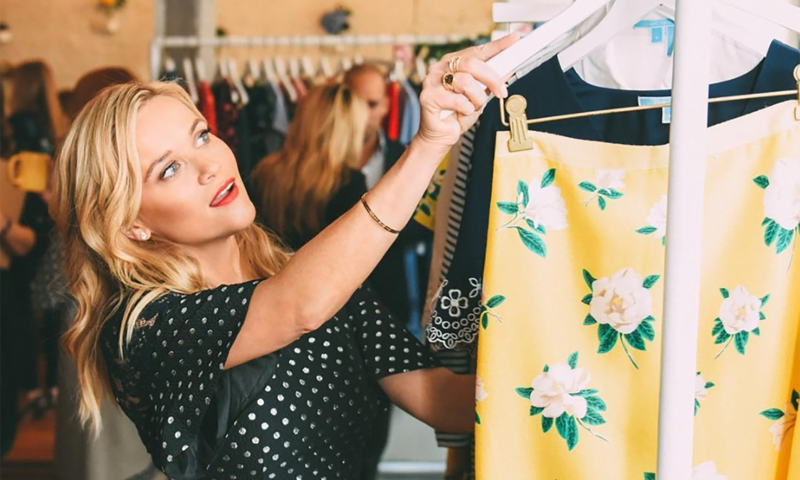 You don’t have to invest a lot of time or money to recreate these looks with style inspiration from Reese Witherspoon. Southern gal Reese loves her some denim, and her country-chic combinations show how to do denim on denim right. When pairing a denim button-up shirt with denim jeans or a denim skirt, don’t go matchy-matchy. Instead, opt for two different shades or colors and break up the pieces with a belt; Reese favors brown leather. One of the easiest ways to embrace the denim trend is with a little blue jacket. Layer it over a floral spring dress or skinny black pants with a basic tucked tee. Stripes never go out of style, but they are particularly in at the moment, and Reese is a fan. Vertical stripes paired with heels helps Reese appear taller than 5’1″. Striped dresses are perfect for spring and summer, and the right stripes will accentuate your best assets. Thick, horizontal stripes draw attention and add volume; narrow, vertical lines slim in a subtle way. Frocks with stripes in different directions – chevron and horizontal, for example – add shape to narrow bodies, while narrow vertical stripes in the skirt and wider, horizontal stripes above balance a pear shape. While it may be hard to believe because her face has hardly aged a day since her Legally Blonde days, Reese is a 42-year-old woman. Her wardrobe shows how to have fun with prints in a cute, classy and age-appropriate way. Fun, whimsical prints like pineapples, strawberries and flamingos are office-friendly on breezy blouses with flutter sleeves or on A-line dresses. Hearts and polka dots are timeless prints that frequently pop up on Reese’s threads. As a bonus feature, they keep the eye moving to conceal problem areas.